OK, I’m no A’s fan in any stretch of the imagination. 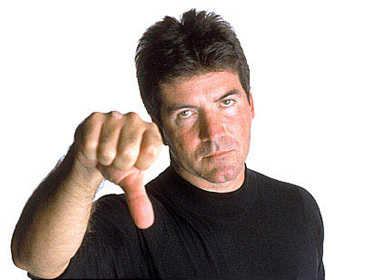 However, I was not a fan of the black alternate jersey they were sporting for the last three years or so. Black is not a team color and beyond that, the era where every team in the league has a black jersey has come and gone. Thank goodness the team realized that and did what the Giants did in having the secondary team color be the alternate home jersey, which is gold. When this was announced, I actually thought it was great. I thought finally the A’s won’t be borrowing black from the Giants (admit it,A’s fans, they were) and can use their own colors for alternates. This is the first time the A’s have had a gold alternate since 1986. They have had several green alternates, but not a gold one since. 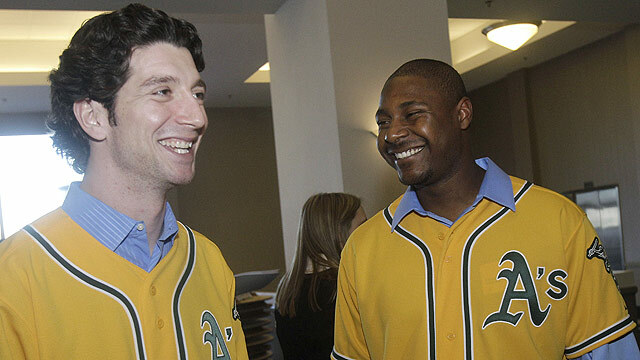 Thursday, the team officially unveiled the jerseys in a ceremony at Oakland Coliseum with players such as Grant Balfour, Josh Willingham, Chris Carter, and Jerry Blevins (pictured below) showing them off. The gold is described by general manager Billy Beane is described as canary yellow. While I like the colors on the jersey and the elephant on the patch is nice, I have to say, I am quite disappointed. I thought for one that the piping around the neck and down the front was a little unnecessary. It doesn’t match the other A’s uniforms. Contrast to the Giants where all their uniforms match the template. I also hate that the word “Athletics” isn’t used on the front of the jersey, I think it should be there and the number should be on the front as well. If that design is going to be used, put the number on the blank side of the jersey. I also would like to know if there’s an alternate hat to go along with these. I have a feeling,though,that the traditional home hat with the yellow bill will be used. They should go back to the 1968, 1969, 1970, 1971 sleeveless shirt uniforms. They have never had anything close to as nice as these were. Hopefully, A’s management will recognize they had the perfect uniform all along! Those were alright, but the home and away ones they have now don’t look too bad. These ones just aren’t that good, and I have noticed a lot of teams are now going to the cap logo on the left side of the jersey and having the number on the other and I am unsure why. Plus my Giants have better uniforms than the A’s ever will. ← Is it too late to retract a prediction?